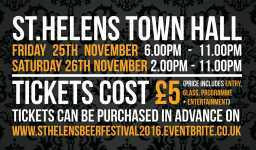 Friday 25 November (6pm-11pm) and Saturday 26 November (2pm -11pm) in support of the Steve Prescott Foundation. Staff from Haydock-based Handepay are using rugby league’s showpiece Grand Final to smash through their charity fundraising target for 2016. 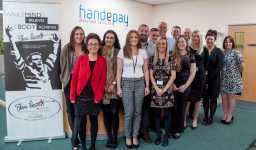 A total of 23 Handepay staff will walk the 18 miles from their office to Old Trafford on Saturday October 8, before enjoying a well-deserved seat to watch the match. Rugby league legend and SPF ambassador Adrian Morley – Moz – is running the Chester Marathon with brother Chris on Sunday 2nd October. Moz has now retired from rugby league after a glittering career when he won every major trophy at club level for Leeds Rhinos, Sydney Roosters, Bradford Bulls and Warrington Wolves and captained England and GB with distinction. Older brother Chris Morley started his career at St Helens playing from 1994- 97 before moving to Warrington and later several other clubs and was a Wales international. 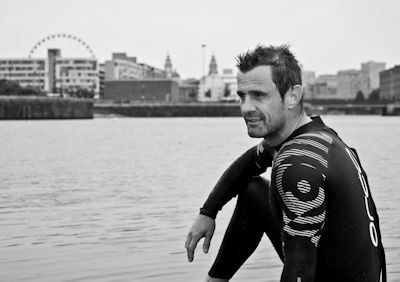 Chris is a Challenge Cup winner of the 1997 St Helens side which included Steve Prescott. Eddie Hirst from Rainford has set himself a massive challenge for 2016 by competing in a number of endurance events this year including: The Virgin London Marathon, St Helens 10K, Edge Hill Triathlon, Grindleford Gallop, Southport Triathlon, 3 Peaks (Yorkshire), St Helens Triathlon, Snowdon Marathon and the UK Ironman event.